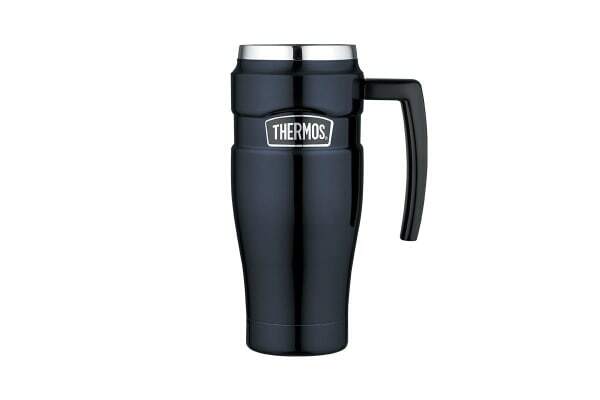 Durable and fully stainless-steel, the Thermos Stainless King 470ml Vacuum Insulated Travel Mug is equipped with Thermos vacuum insulation technology that provides maximum temperature retention, hot or cold. Beautifully finished, the Thermos Stainless King 470ml Vacuum Insulated Travel Mug (Midnight Blue) is sleek, durable and functional. The Thermax vacuum insulation eliminates temperature change to keep your beverages hotter, colder and fresher for longer.